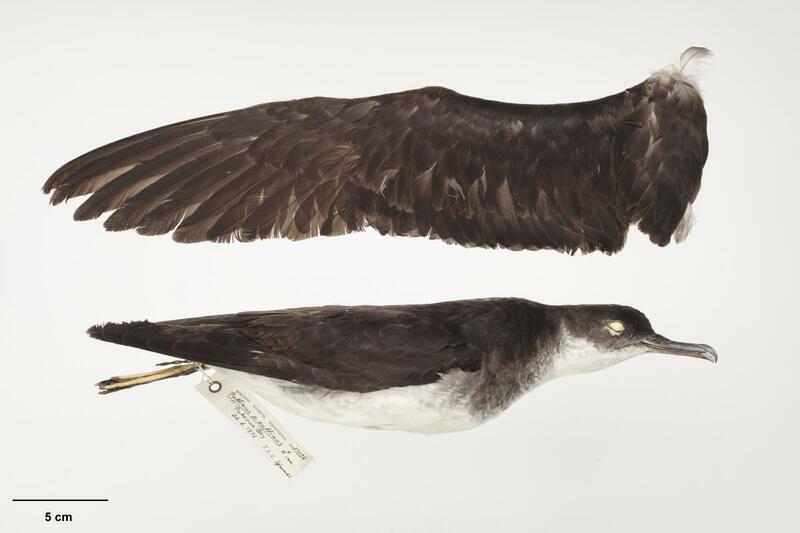 The Manx shearwater is a common pelagic seabird in North Atlantic seas in the breeding season with a world population of more than one million birds. The population undergoes a trans-equatorial migration into the South Atlantic during the non-breeding season. 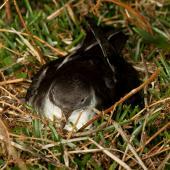 Only three vagrants have been identified in New Zealand. The species' scientific name comes from the English word "puffin" which apparently referred to cured carcasses of nestling shearwaters - due to confusion this name was later adopted for the Atlantic puffin (Fratercula arctica) - both are burrowing species that often nest together. 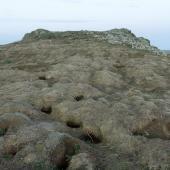 The name "Manx" came from the Isle of Man, where a large colony once occurred on the Calf of Man Island. 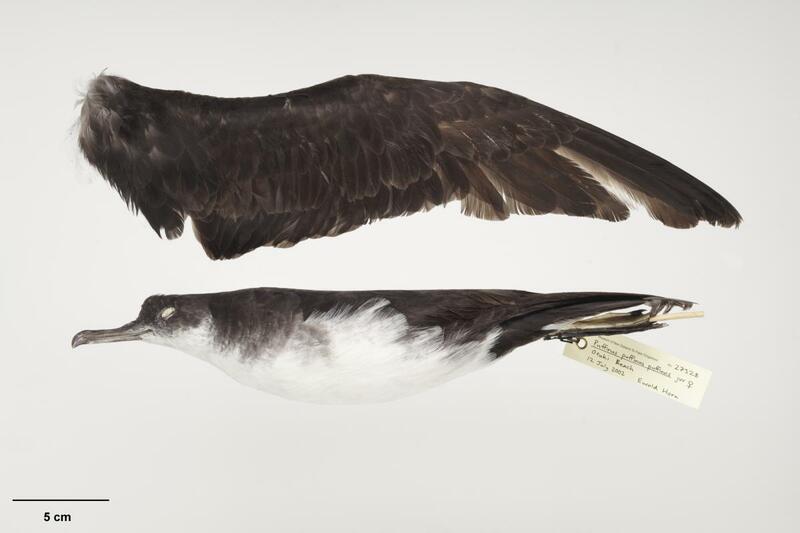 Previously the Manx shearwater was considered to have many subspecies breeding around the world, including New Zealand's Hutton's and fluttering shearwaters, but now these are all considered to be species in their own right. 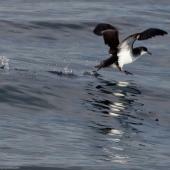 The Manx shearwater is a medium-sized black-and-white petrel with a short tail. Close up, the plumage is brown-black dorsally and white ventrally, with a crescent-shaped white patch behind the ear-coverts and a dark thigh patch. The long thin bill is dark grey and the feet are mainly pink with outer portions black. 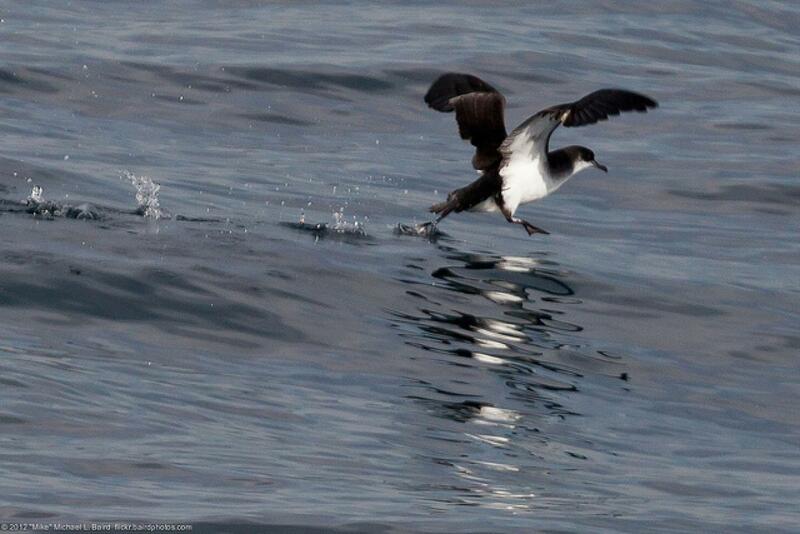 The Manx shearwater often flies just above the water's surface. Its flight consists of short soaring gliding and banking interspersed with rapid flapping of stiffly held wings, but it soars more in higher winds. At a distance the species appears dark above and white below. 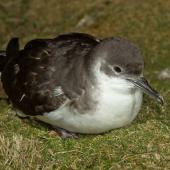 Voice: Manx shearwaters are normally silent at sea but noisy when ashore at their colonies. 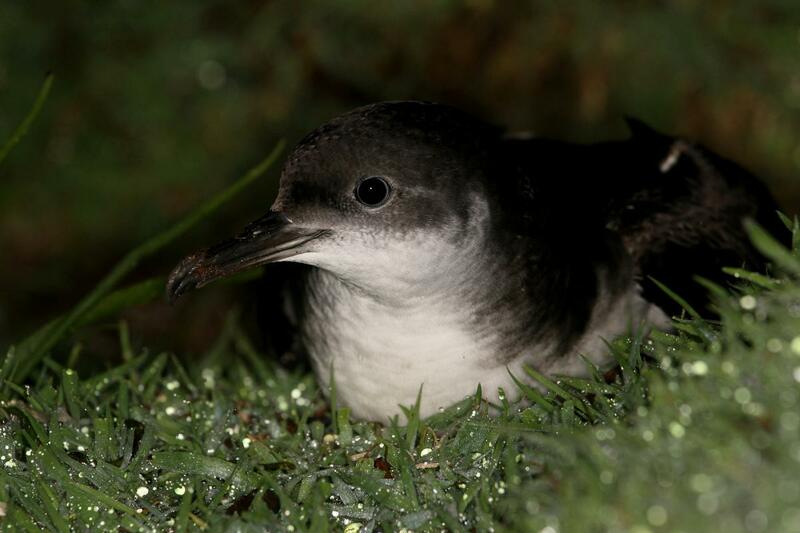 Similar species: Manx shearwaters can only be separated from fluttering and Hutton's shearwaters with great care. 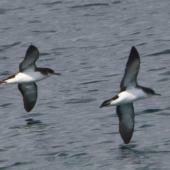 Manx shearwaters are slightly larger than both New Zealand species and have a more sharply defined head pattern. 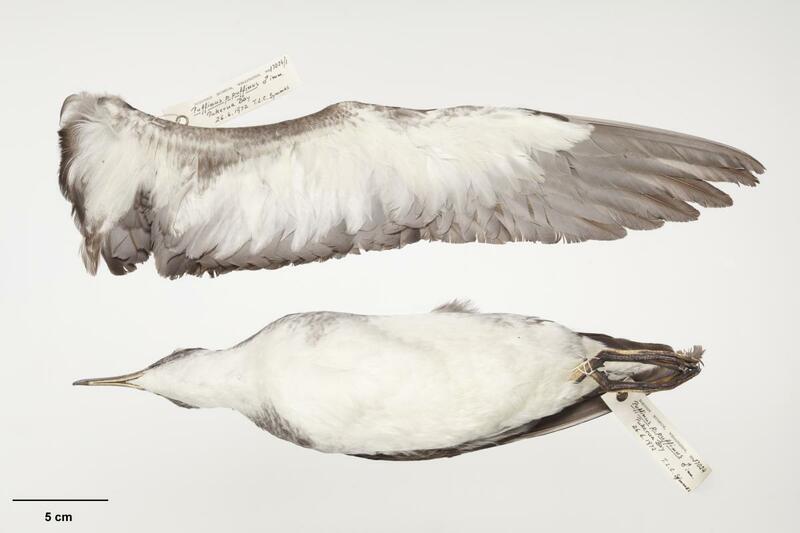 Manx and Hutton's shearwaters have dark outer webs to their otherwise white under tail covert feathers, whereas in fluttering shearwaters these coverts are all white. 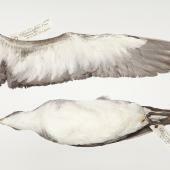 Also Manx shearwaters generally have whiter axillary feathers than both New Zealand species. 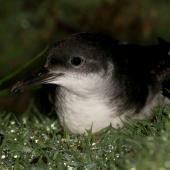 Overall, Hutton's shearwaters are the darkest of these three species ventrally, with a duskier under wing and throat. 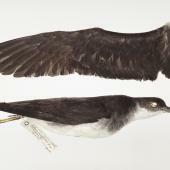 Newell’s shearwater (with one record from New Zealand) is very similar to Manx shearwater, but with darker margins to the underwings, and much darker undertail coverts. 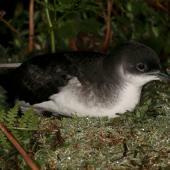 Most Manx shearwater nesting colonies are on islands in the north-east Atlantic, particularly around Ireland and Britain, with small numbers at sites along north-east North America. Migrating birds are mainly found in South Atlantic seas off Brazil and Argentina, where the species is common from November to January, but the species regularly reaches southern Africa. 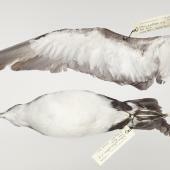 The species has been recorded in the eastern Pacific with increasing frequency but only straggles to Australasia. There are only three New Zealand records, all immatures beach-washed on lower North Island west coast beaches: Pukerua Bay (June 1972), Waikanae Beach (January 1985), and Otaki Beach (July 2002). 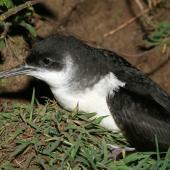 The occurrence of these birds in New Zealand may be partly explained by the fact that immatures often remain in the South Atlantic during the northern summer. 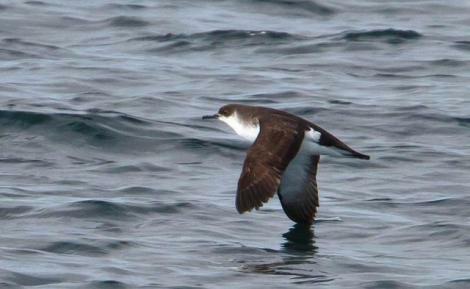 It is speculated that Manx shearwaters reaching Australasia have been swept across the South Indian Ocean by the prevailing westerly winds. 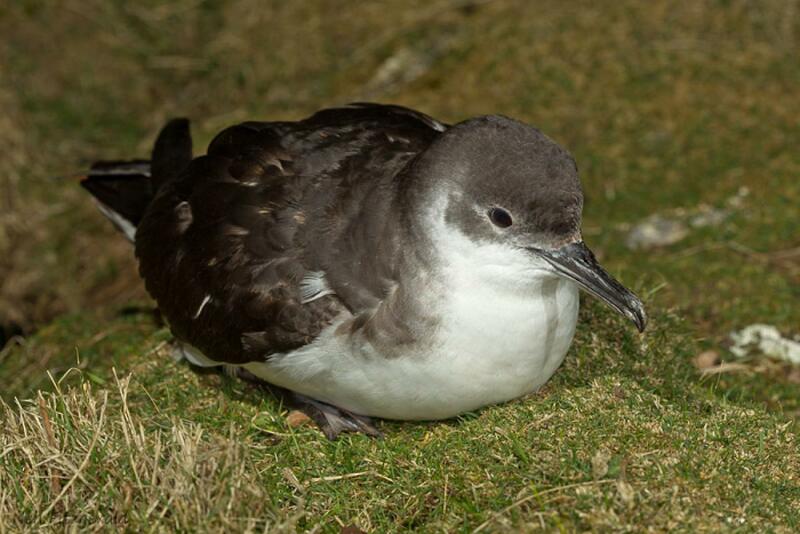 Manx shearwaters lay a single white egg per season, in late April to early May, with chicks fledging mainly in September. 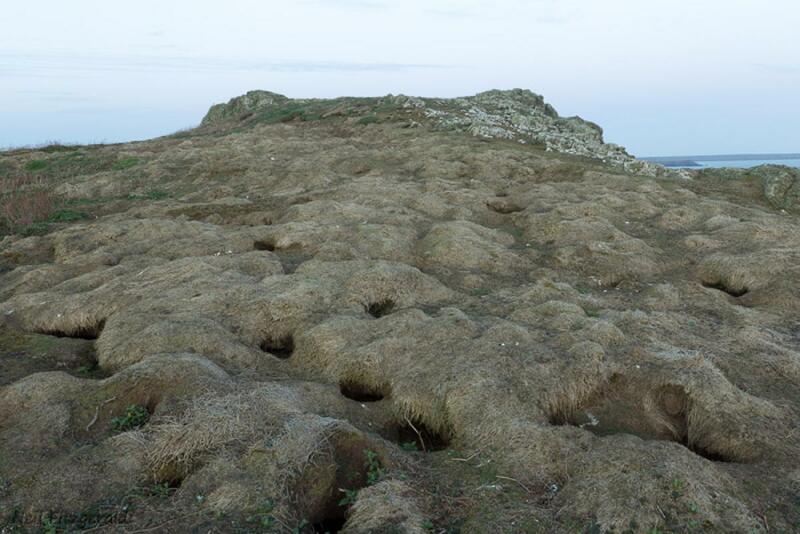 They breed in colonies, nesting in burrows and under rocks where adults share incubation and chick-rearing duties. 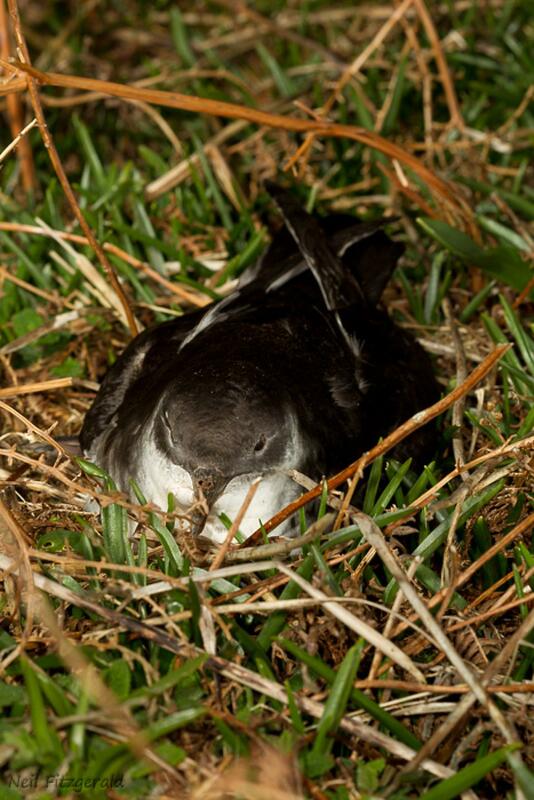 Manx shearwaters are active ashore only at night to avoid predators. They are long-lived, with one bird reaching at least 55 years old. 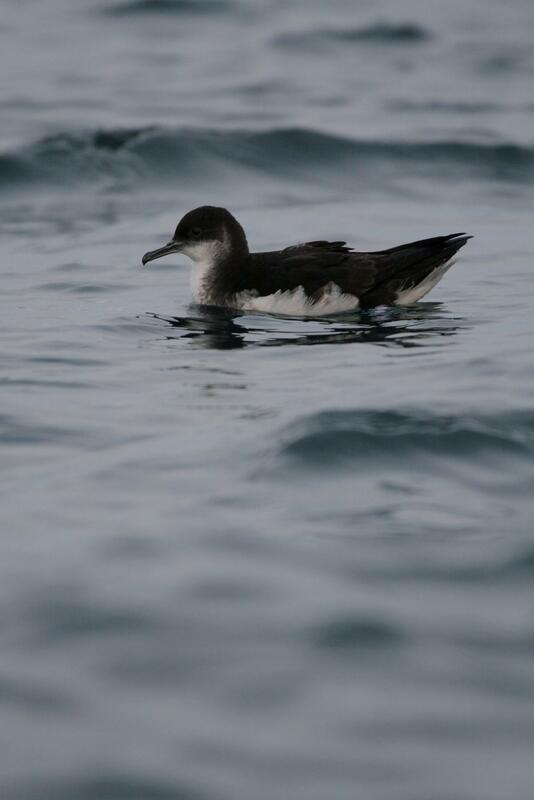 Manx shearwaters feed, either individually or in flocks, mainly on fish and marine invertebrates. They feed on the surface or dive for food. 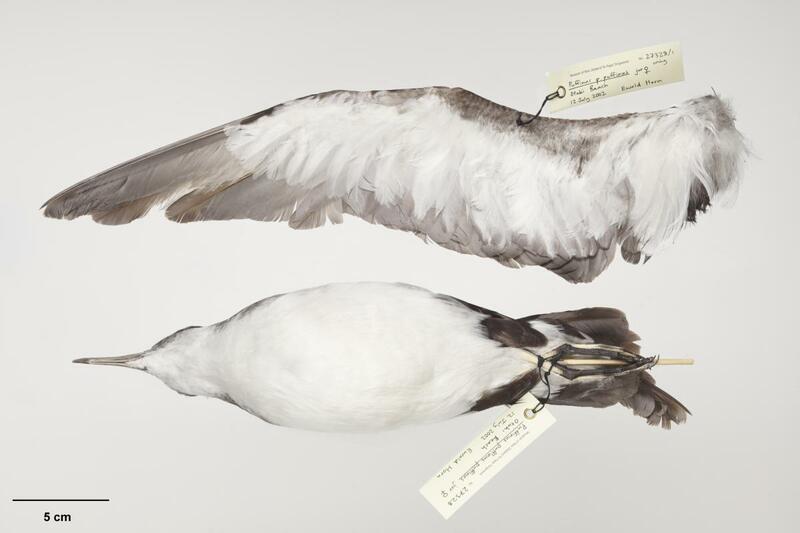 No food was recovered from any of the New Zealand specimens. Brooke, M. 1990. 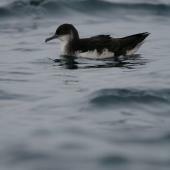 The Manx shearwater. T & AD Poyser, London. Kinsky, F.C. ; Fowler, J.A. 1973. 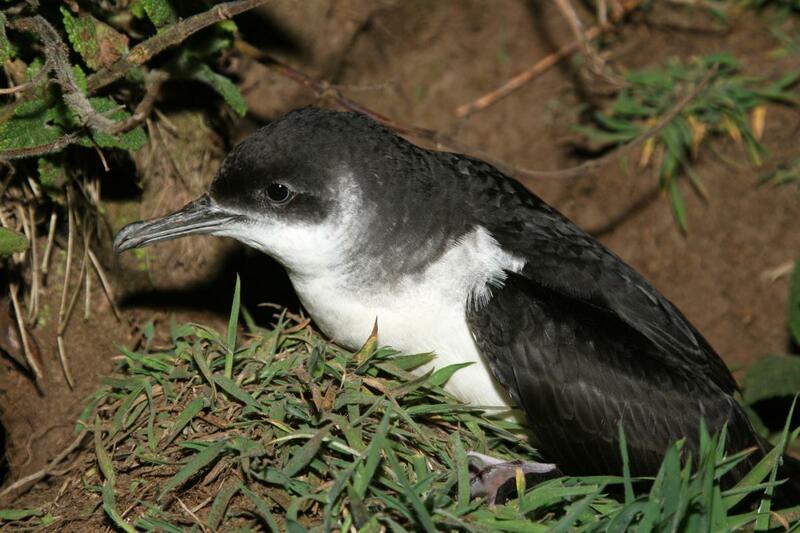 A Manx shearwater (Puffinus p. puffinus) in New Zealand. Notornis 20: 14-20. Murphy, R.C. 1952. 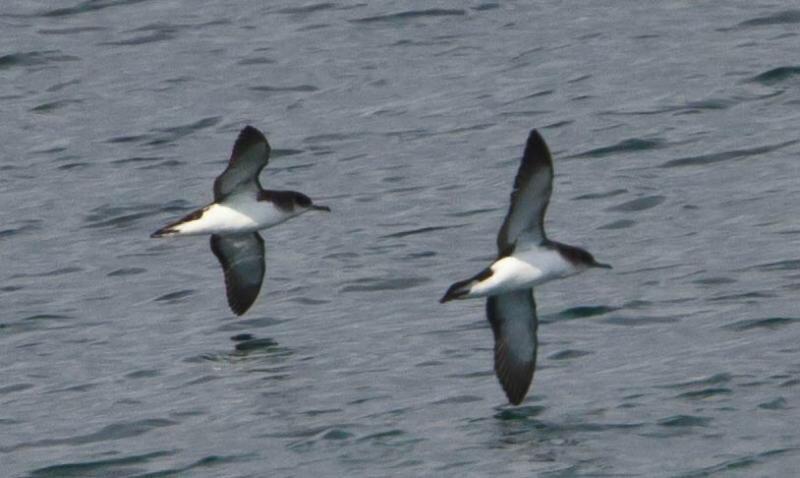 The Manx shearwater, Puffinus puffinus, as a species of world-wide distribution. American Museum Novitates 1586: 1-21. Tennyson, A.J.D. 2010. Procellariiformes. Pp. 64-135. In: Checklist Committee (OSNZ) 2010. 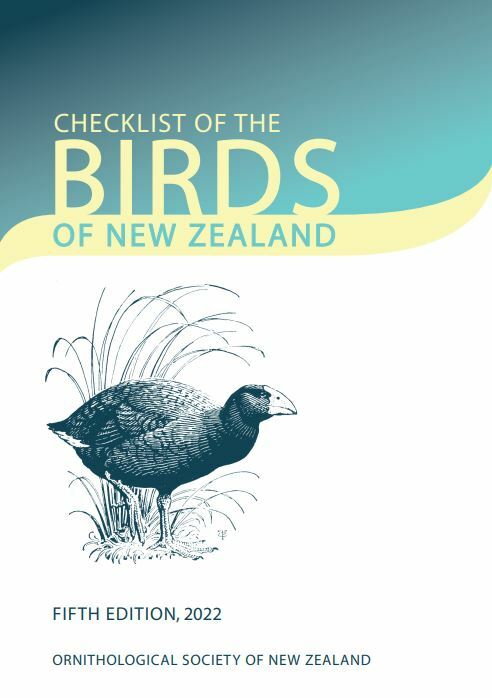 Checklist of the birds of New Zealand, Norfolk and Macquarie Islands, and the Ross Dependency, Antarctica (4th edn). Ornithological Society of New Zealand & Te Papa Press, Wellington. Tennyson, A.J.D. 1986. 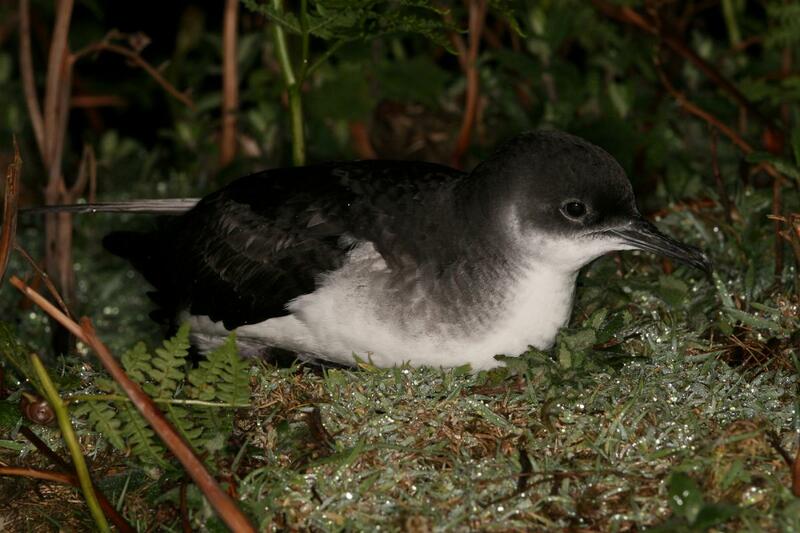 Second record of a Manx shearwater in New Zealand. Notornis 33: 59-61. 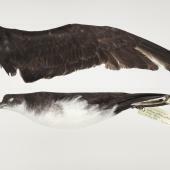 A short-tailed medium-sized shearwater, brown-black above and white below, with a crescent-shaped white patch behind the ear-coverts, dark thigh patch, long thin dark grey bill and mainly pink feet with black outers. It often flies just above the surface, using short soaring glides and banking interspersed with rapid flapping of stiffly held wings; soars more in higher winds.